For the wine enthusiast, connoisseur & collector. Enjoy access and exclusivity to the best of Stag's Leap Wine Cellars. 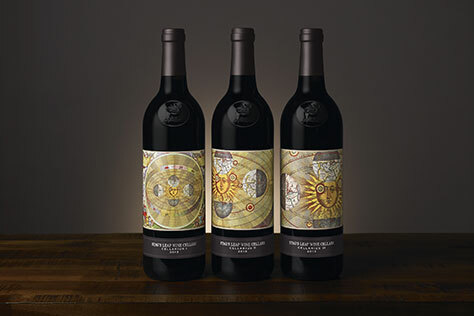 Wines that showcase our distinguished history, classic style and ageability, released in limited quantities. This lively wine offers aromas of crushed raspberry, wild strawberry, cherry and a hint of mint and orange blossom. On the palate the wine is bone dry in style with a bright mouthfeel of fruit that leads to raspberry and dried floral notes on the finish. This ARCADIA VINEYARD Chardonnay has fragrant aromas of honeysuckle, peach, honeydew melon and ripe kiwi. The wine has a bright mouthfeel with great acidity, silky and balanced flavors along with hints of lime and minerality on the finish. This Merlot offers generous aromas of crushed berry, dark cherry, plum, mocha and hints of white pepper and licorice. Medium-bodied, the wine is well structured with rich fruit on the palate and a pleasing lingering finish filled with boysenberry notes. This winery-exclusive set comes nestled in a sleek black wood box containing one bottle of each Cabernet Sauvignon listed below. Perfect for collecting and giving for weddings, graduations and Father’s Day. This classic Chardonnay is rich in style and highlights the characteristics of our Danika Ranch with notes of crème brulee, vanilla, pear and tropical fruit. This is the most full-bodied of our Chardonnays and it has a rich, lingering finish. At Stag's Leap Wine Cellars, we are just as devoted to superior customer service as we are to producing exceptional wines. Whether you're shopping with us online, by phone or at our wine shop, you can count on our helpful Concierge team to answer any questions you might have along the way.